Microsoft, the company that has been plagued by security concerns with Internet Explorer in the past, has announced that it would change its new disclosure policy to inform customers explicitly that it will not use personal information obtained from product and service usage. This will protect customers from data being passed onto third-party companies for marketing and advertising. This action follows a letter sent from Edward Markey, a Massachusetts Democrat and co-chairman of the Congressional Bipartisan Privacy Caucus, to Microsoft CEO Steve Ballmer expressing concern about the policy, which went into effect last Friday. Markey pointed out that Microsoft's new services agreement gave the company leeway to collect and use personal information obtained from consumers of both Hotmail and its recently launched Outlook.com email services. "One thing we don’t do is use the content of our customers’ private communications and documents to target advertising. We could have been clearer about this when we rolled out our updated Services Agreement. We appreciate the feedback we’ve received, and as a result, we will update the agreement as soon as possible to make that point absolutely clear." According to the New York Times report, the policy provided Microsoft identical rights as Google, which actively scans contents of emails sent through Gmail. 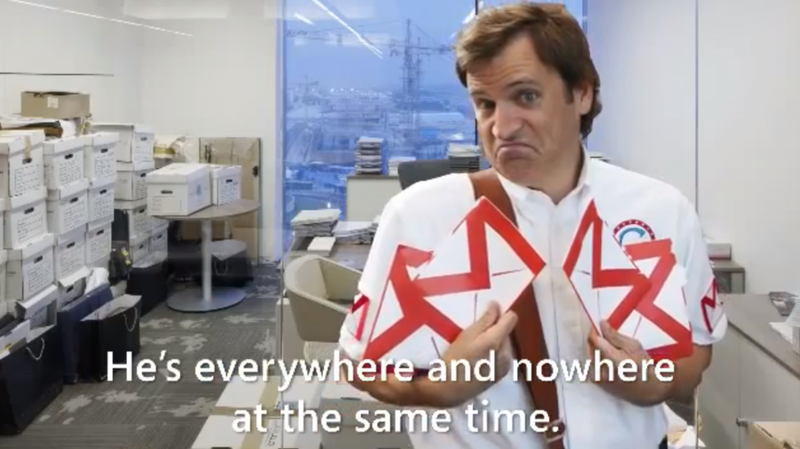 We've previously covered Microsoft's humorous Gmail Man campaign, which pokes fun at the search giant's desire to creep through messages sent and received by users. As well as this, Verizon was in the spotlight last week by selling accumulated customer data to third-parties for marketing purposes. Speaking of Internet Explorer, Microsoft has stated that a "do not track" option will be set as default to true, which will protect users from having web browsing information collected by Microsoft. It's good to see the company react to such concerns, as privacy is particularly important to users, especially with consumers being ever more connected to the Internet.